Rev. 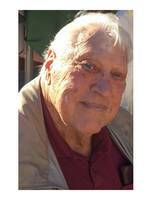 James Harvey Franklin passed away on March 7, 2018 at his home in Clarkesville, GA.
James was born in Bessemer, Alabama to the late Harvey and Jeannie Franklin on April 28, 1932. He went to Lee College in Cleveland, TN and married Mary Lou Stover on December 26, 1952. He leaves a legacy of 66 years of marriage and 64 years as an active pastor. He spent the last 10 years of service as a care pastor at The Torch in Demorest, GA. During his career, he served his denomination through more than twenty years of state leadership. In addition to his parents, James is preceded in death by 3 sisters – Omega Franklin, Elizabeth Zeigler, Marietta King – and 2 brothers – Garmon and William Franklin. Rev. Franklin is survived by his spouse, Mary Stover Franklin; daughter and son-in-law, Pastor Teresa and Pastor Lee Miley; son and daughter-in-law, Pastor Mike and Connie Franklin; brothers and sisters-in-law, Matthew and Glenda Franklin, Nathan and Sherry Franklin; sisters, Dot Davis Farmer and Francis Gann; four grandchildren, Megan (Brandon) Pedigo, David (Abby) Franklin, Daniel (Chelsey) Franklin, and Renee Franklin; eight great-grandchildren. A Celebration of Life will be held 3:00 pm Sunday, March 11, 2018, at The Torch, 800 Cannon Bridge Rd, Demorest, GA 30535. A visitation will be held at The Torch on Saturday, March 10, from 2 pm until 8 pm. Pallbearers will be David Franklin, Daniel Franklin, Michael Thomas, Scott Smith, Charlie Allen, Ricky Umbehant, Brandon Pedigo, and Chad Parham. Honorary pallbearer Jon Brantlee Pedigo. Memorials may be given to The Torch Outreach programs at 800 Cannon Bridge Road, Demorest, GA 30535. The family wishes to extend our sincere thanks to Celina Carruth for the amazing medical care she provided, The Torch church family for their continual support and acts of kindness, Zane Stewart and McGahee-Griffin and Stewart Funeral Home for their outstanding, gracious care, and our loyal friends who have helped us through this process. McGahee-Griffin & Stewart Funeral Home (706-778-8668) of Cornelia is in charge of arrangements.